According to a recent report by Homelight, June was calculated to best month to sell your home for more money in Houston. 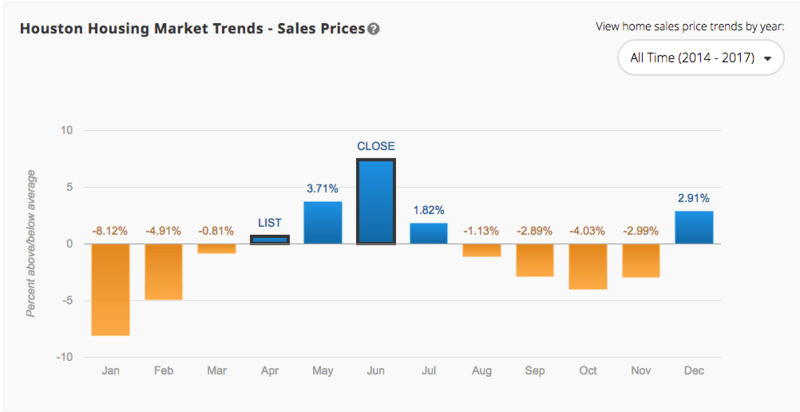 Based housing transaction data, Homelight estimated that if you list your Houston home in April you could sell your house for 7.47% more than the yearly average. Contact us to talk with our experienced real estate agents at Richmond Realty Group RE/MAX The Woodlands & Spring to answer your questions and take advantage of the best time to sell your home – for more money and quickly – in the Houston area. 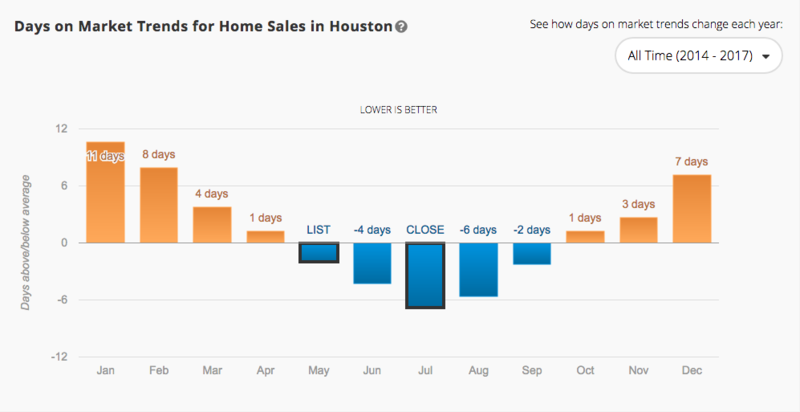 Learn more about Houston’s housing transaction data at https://www.homelight.com/best-time-to-sell-house/houston-tx. Richmond Realty provides local community knowledge to our clients and delivers results that exceed expectations.